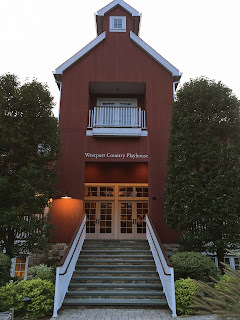 A return to our Connecticut roots would not be complete without attending a play produced by the Westport Country Playhouse where we’ve gone over the summers for some forty years. The playhouse retains its essential “country” character although the old wooden bench seats are gone (thankfully) and air conditioning has been introduced (in fact too air conditioned), but the essential mission of presenting the highest caliber theatre has been retained. The play we saw – Appropriate -- just closed, so writing a full-blown review is not my intent. For that, there is always the reliable New York Times – a review of the play when it opened Off Broadway in 2014. The play was, as the author admits, “appropriated” in some way from a number of the finest American family dramas of our times. In particular there is attribution to Sam Shepard’s Buried Child, Horton Foote’s Dividing the Estate, and Tracy Letts' "August: Osage County”. And to say the play is derivative of such works, to me, is not a criticism but a compliment. 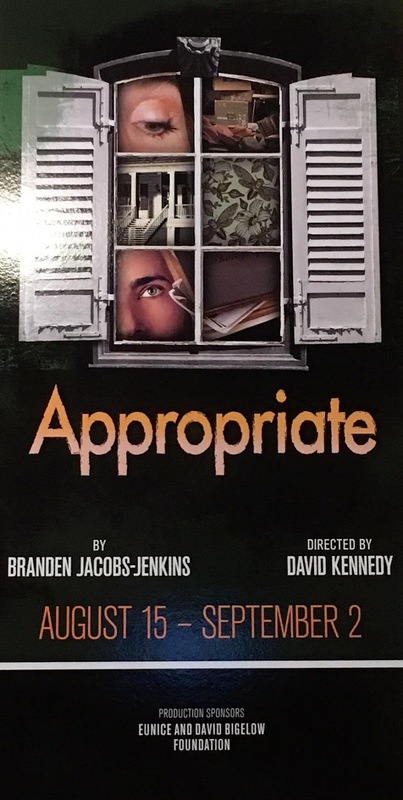 Branden Jacob-Jenkins’ dialogue is really a new voice in American theatre and even though every family may be unhappy in its own way, eventually it all boils down to dreams deferred or unrealized and the blame that hangs heavily in rare family reunions. When that reunion is over the death of a patriarch, and there is a dark secret that explodes on the family, as it does on the adult children, Toni, Bo, and Franz, the stage is literally set for conflict. And when you take your seat, the chaos of the gloomy stage foreshadows of what will unfold. I was amazed at Jenkins’ ability to draw such well defined characters and to write such potent dialogue. There is even a “fight director” for the play as verbal accusations, not only become loud, but physical as well. And the three siblings are not the only ones caught in the fray; there is an aggrieved spouse, a new age girlfriend, and children of the spouses. The dysfunction is multi-generational. 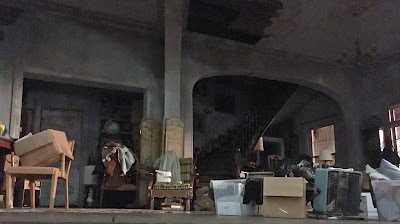 No one escapes the tragedy, which is eerily heightened by a decaying ancestral Arkansas family home (think Tennessee Williams), the increasing intensity of the sound of cicadas, and the suggestion of ghosts haunting the property. And of course, the secret, the inexplicable discovery of a photo album containing pictures of lynching’s among their father’s property (in addition to the home being on the border of a white graveyard with stones, and unmarked graves of blacks on the other side): the original American sin and their father’s potential complicity confounds and divides the family further. 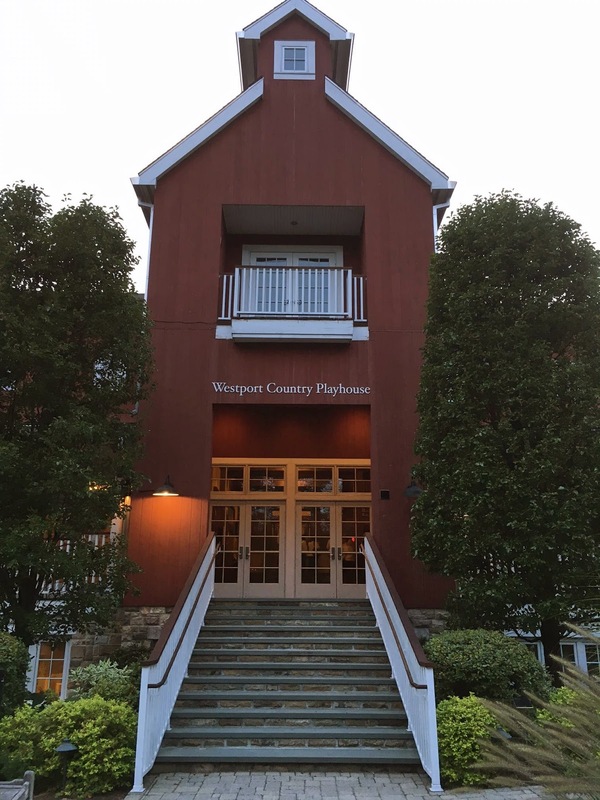 The Westport Country Playhouse has spared no expense in scenic design, lighting, and sound. They recognize Jacobs-Jenkins as an astute dramatist who is at the beginning of an important, noteworthy playwriting career. We were fortunate to catch this production. This is what great theatre is all about and we will be watching for future works by this talented and gifted writer.